Here at Ad Victoriam Solutions, our outstanding reputation as a top-rated Platinum Certified Salesforce Consulting Partner has spread well-beyond our headquarters in Atlanta, GA. The secret to our success? For starters, our extensive experience with the Marketing Cloud, our deep knowledge of Salesforce solutions, and our unique hands-on approach when partnering with small, medium and large businesses across the nation to solve their technology challenges. Ready to for personalize strategies and tactics to achieve your marketing goals? "Ad Victoriam was extremely responsive and professional during our [Marketing Cloud] implementation. Our use cases for the system required a lot of customization, and their team made it easy to make our needs reality." 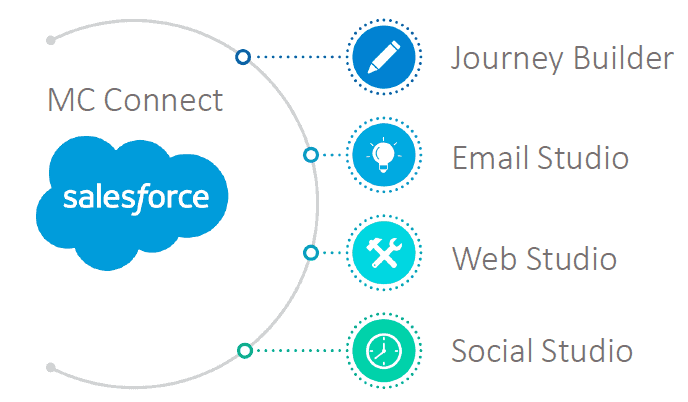 What Does the Salesforce Marketing Cloud Do? Ad Victoriam certified consultants skillfully guide organizations through the entire implementation process, from developing a strategic roadmap and platform configuration to training and maintenance. We have in-depth experience implementing a wide range of Marketing Cloud features for businesses across various channels. Why Hire Our Salesforce Consultants for Your Marketing Cloud Implementation? As a Salesforce Platinum Consulting Partner, our cloud and analytics experts understand the intricacies of the Force.com platform. We solve problems, simplify complexities and integrate technology so it does what our clients need it to do, exactly when they need it done. For more details about how the Marketing Cloud can benefit your business, read Salesforce Solutions for Business 101 or contact one of our knowledgeable team members.